There is some good news for the Royal Enfield Thunderbird fans of India. 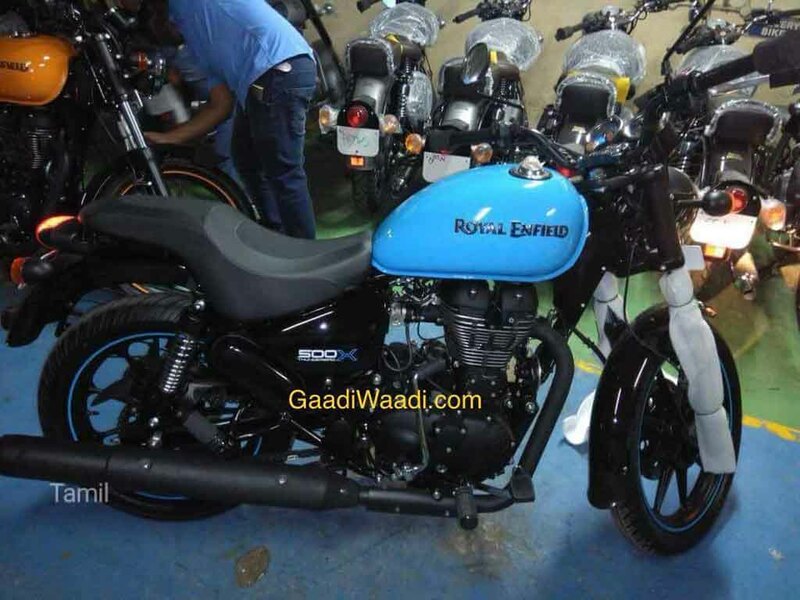 A new video of the Thunderbird 350X has emerged online which show us that RE has equipped the 350X with dual channel ABS now. The motorcycle has already started reaching dealerships and we can clearly state that RE will be introducing the ABS-equipped TB 350X soon in India. The 350X is the second motorcycle in the Royal Enfield lineup to get a dual channel ABS after the Classic 350 Signals edition which too was launched not so long ago. Currently, the 350X is priced at INR. 1.57 Lakhs ex-showroom while expect the ABS-equipped variant to be priced around Rs. 10, 000 more than the non-ABS variant. The Thunderbird X is a slightly cooler and trendier than the standard Thunderbird model which hasn’t received any significant update since the year 2013. Compared to the standard Thunderbird the 350X, on the other hand, gets a 9 spoke alloy wheels wrapped with tubeless tires. The front 19-inch wheels get 90 section MRF Nylogrip rubbers whereas the 18 inch rear wheels get 120 section same brand rubbers. The X variant in particular also gets a different set of straight and flat handlebars while the seats too are different and not split ones found in the standard Thunderbird. Towards the rear, the 350X also gets a different split grab rails instead of normal grab rails. Lastly, the motorcycle also gets a smaller rear fender which adds a neat look towards the rear profile. The Royal Enfield Thunderbird 350X is powered by the same 346 cc single-cylinder motor which produces about 19.8 bhp of peak power at 5,250 rpm and 28 Nm at of torque 4,000 rpm. The engine is paired to a 5-speed gearbox. The suspension duties of the motorcycle are carried by telescopic forks at the front and twin gas-charged shock absorbers at the rear. The motorcycle relies on a 280 mm disc brake towards the front and 240 mm disc at the rear. The motorcycle is available with a total of 4 colour options.